As national electricity rates continue to rise year after year, consumers are more interested in finding constructive and effective ways to cut costs. 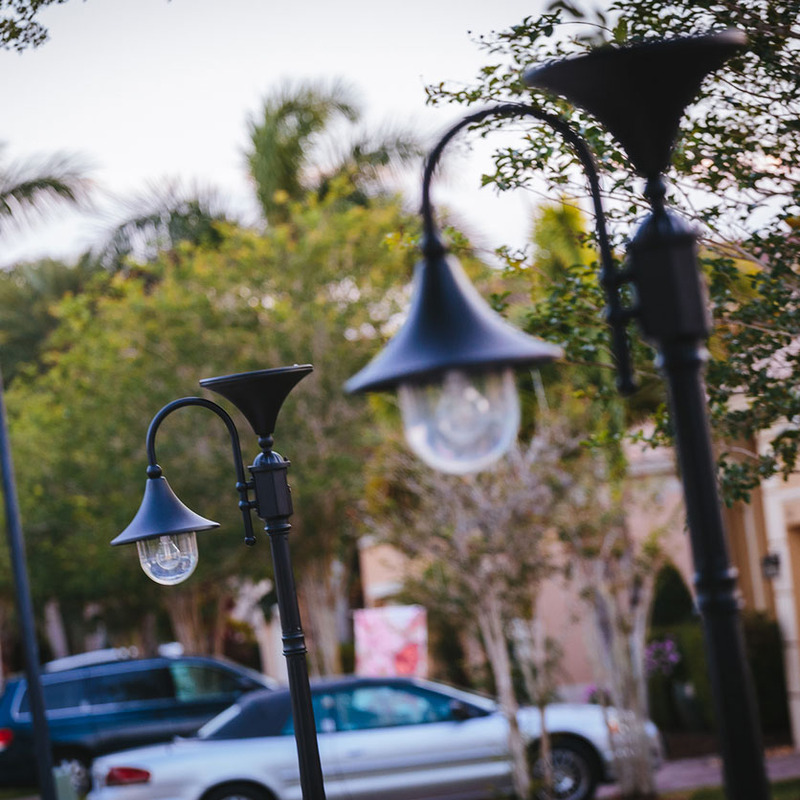 Solar Powered Outdoor lighting is not only a great option for areas that do not have hardwired power, but an effective solution to combat the rising costs of electricity for all sectors (residential, industrial, commercial, transportation). Today we will be going over the most popular, reliable and cost-effective fixtures of 2019. The Victorian Single Solar Lamp Post with Warm White GS Solar Light Bulb features a classic look, with a heavy duty, long lasting composition. The powder-coated cast aluminum is rust-resistant, and when combined with the beveled glass, offers a high-end feel. 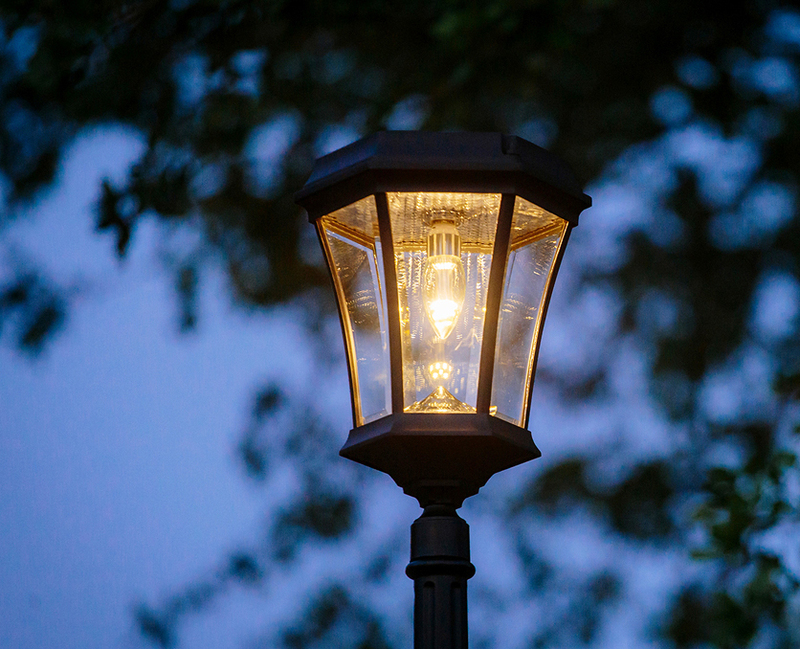 The Warm White output is very popular for outdoor lighting, which is not only practical but when paired with similar hues, creates a welcoming ambiance. The High/Low and Off settings allow for reliable operation, illuminating for up to 12-hours on a full charge. Includes the classic 7-foot post and everything needed for install, set up and operation. The Classic Victorian is now available in a triple lamp head model. Featuring a total output of 405 Lumens for those who require extra area illumination. 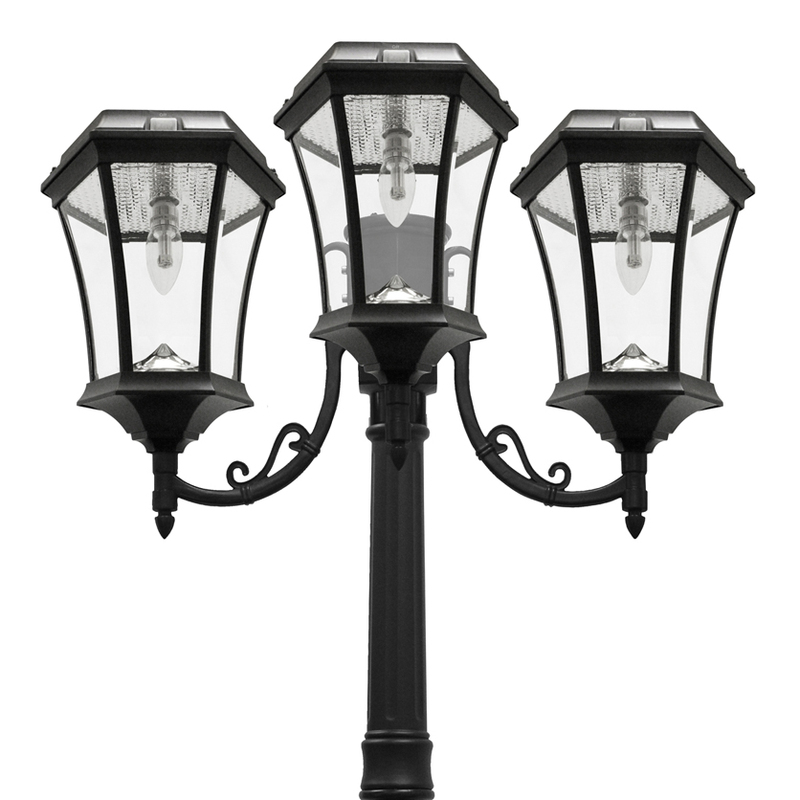 The Victorian Triple Solar Lamp Post comes standard with a 2 Year Manufacturer Warranty, long lasting Lithium Ion Batteries and all of the great composition features of the Single Lamp Model (7-foot post, cast aluminum frame, beveled glass, and much more). The bread and butter of the Solar Lamp Post Universe is the timeless Imperial II Solar Lamp Post - Single Head. This model is one of the brightest, not to mention most popular fixtures year after year. With a powerful 300 lumen output and massive 12,000 mAh battery bank, the Imperial II is guaranteed to impress. 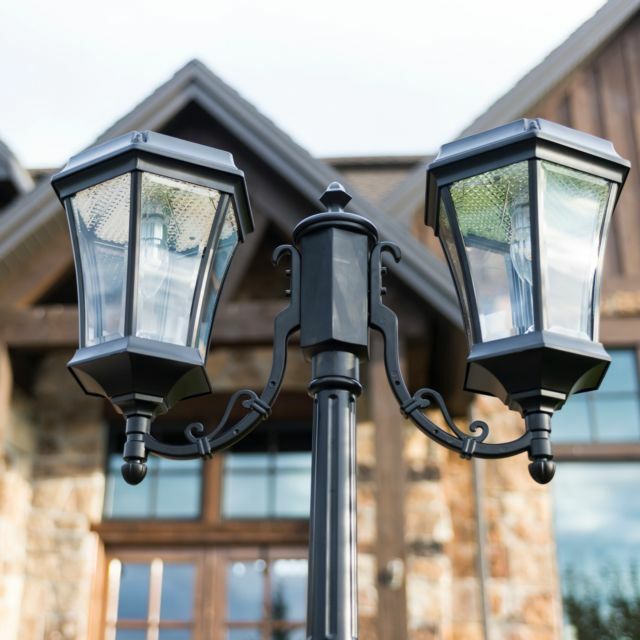 Beyond providing a superior combination of light brightness and duration, the powder-coated Cast aluminum Imperial II will offer reliable illumination for years to come. One of the most exciting newly released fixtures features a unique design inspired by urban street lamps. 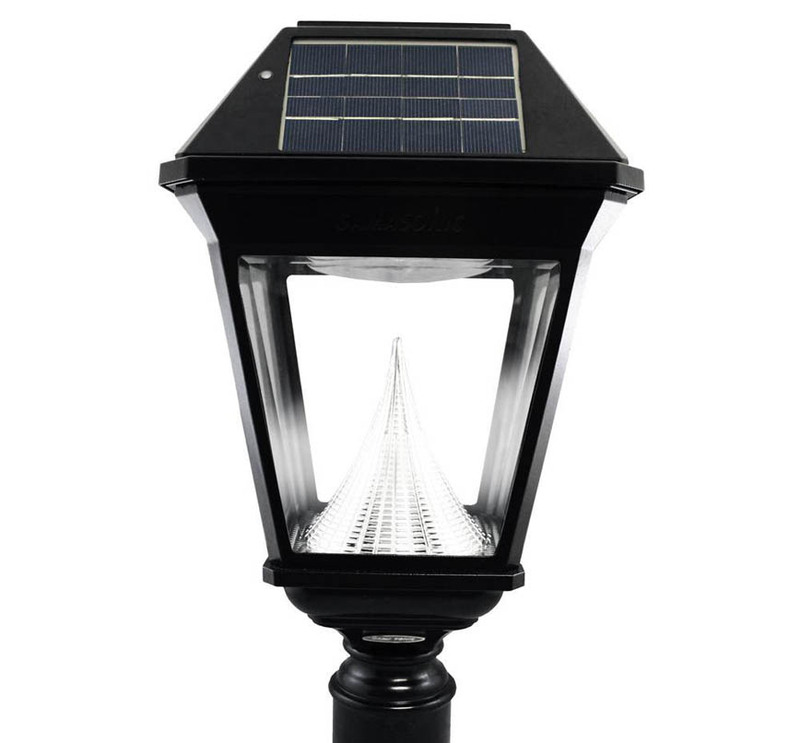 The Everest Solar Lamp Post with GS Solar LED Light Bulb features a top facing solar panel, for extra exposure to direct sunlight, resulting in a faster charge. All mounting hardware is included, making this an easy option when replacing outdated electric or gas-powered fixtures. There is no maintenance required and even features lamp settings including Off, High (for Summer Operation) and Economy (for Winter time, low light conditions). Now available in a Black or Green finish! My personal favorite is the Imperial Solar Lamp Post with GS Solar Light Bulb. It includes a distinctive and stylish Eagle and Acorn Finial, which are completely interchangeable. The Warm White output is guaranteed to add many levels to your curb appeal while offering reliable dusk to dawn operation. The attractive design was inspired by 19th-century street lamps, which gives you modern technology combined with the older classic feel. Long lasting and rugged, this Warm White 180 lumen lamp post is sure to please. The various models we have discussed today provide a solid light output, reliable composition, included 7 Foot Lamp Post and creative design. 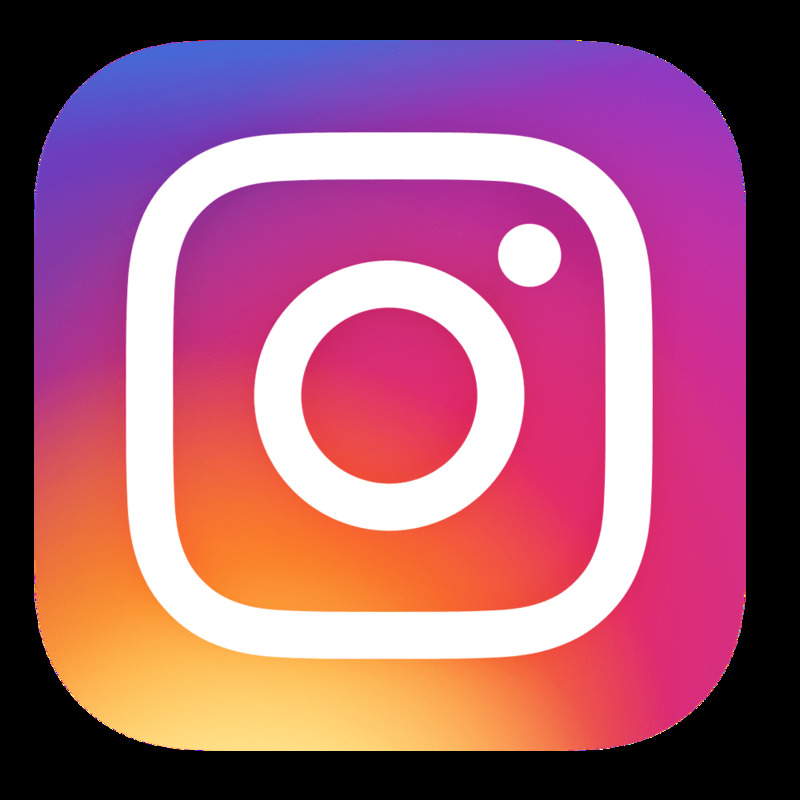 Should you have any questions or simply require a recommendation based on your application, do not hesitate to give us a shout. As always, we are just a phone call away (877-548-3387) and are happy to offer our expertise on all of your Solar needs!